FlightGear forum • View topic - Ground services ! After playing around with the existing AI system (scenarios and tanker.nas) I built a Nasal based prototype for GroundServices that is based on a graph system, that lets vehicles move along the edges of a graph like trains on rails. It currently only moves ground vehicles along an airports taxiways without providing any services. * find/create(?) models for ground services. eg. I couldn't find a fuel truck model until now. And the stairs and caterer models are not animated. This would be nice. * attach vehicles to an aircraft. * Integrate to AI traffic. One challenge here is to detect a landed aircraft. I tested it today with FG 2017.2.1 on Linux. Works nicely at EDDL & EDDH, except for the elevation of the vehicles. At EDDF it finds/shows only half of the groundnet and stays in standby status. I recently realized the elevation problem (vehicles appear appx 20m above ground). I had the problem some time ago and considered it to be solved. Well, I'll check it again, also the EDDF groundnet. About apt.dat: No, didn't know that. Thanks for the hint. So using FGs *.groundnet.xml files will not be sufficient for ground vehicles? I'll check how to access apt.dat from Nasal or to extract the data into some XML file where Nasal can read it. BTW: the elevation problem occurs when ground vehicles are launched before scenery load completed. In this case they move at (possibly wrong) airport elevation. Pressing AI->GroundServices->Reload after scenery is loaded restarts vehicles at correct elevation. Hey guys, great achievements that are made here. I recently came across the question how an eventual interaction with aircraft could take place. Does anyone of you have an idea how to do that? Can the ground vehicles make use of the aircraft groundnets and so approach the parking positions correctly? And how will they approach the aircraft, no matter if AI or players aircraft, correctly? 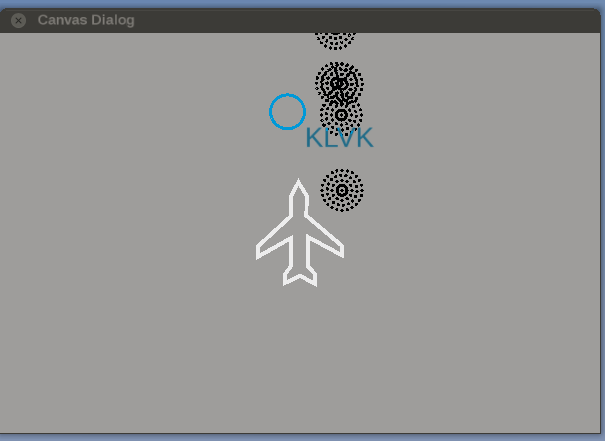 I'm currently working on a catering and fuel vehicle approaching AI aircrafts based on groundnet, the current parking position and a defined door and wing position of the aircraft. 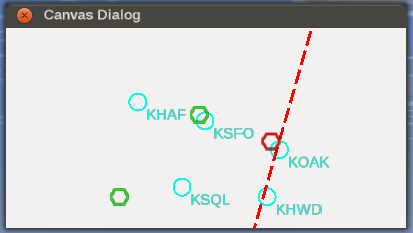 My first implementation will only use rough approximations of these positions, because there seem to be only a few aircraft models out there that have door positions defined. And I'm afraid some of these positions are not correct. Anyway, I will build the logic first, improved positions can be added later step by step. 1) The model/aircraft type cannot be retrieved from the property tree. So I will use a large text file table for mapping the callsign to the aircraft type. 2) The aircraft departure time cannot be retrieved from the property tree. So a service vehicle might still be busy while the aircraft is leaving its position. Please, what as it the status here. I am developping LFLL and in this way would like to try to integrate Ground Services from the airpot scenery rather than from aircraft. Does this project already working ? What should i look to LFLL groundnet to validate that all needed are in place. My solution is based on the airports groundnet.xml. 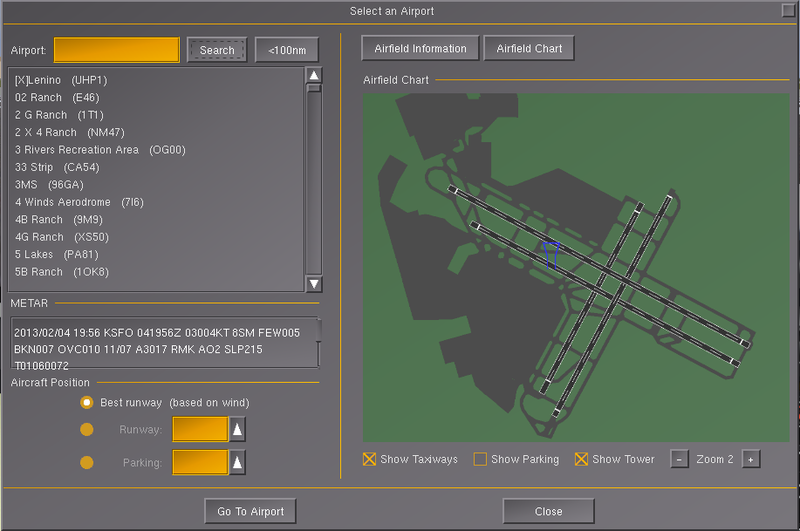 So for now you just have to make sure that your airports groundnet.xml is reasonable, meaning parking positions are at correct location and all connected to taxiways. Look at https://github.com/thomass171/GroundServices for the first release. I would suggest to consider using Torsten's new addon framework to turn the whole thing into an addon over time, even if the addon framework should still be missing some things to make this work, it would be good to know to report back to Torsten if it's even feasible to turn this module into an addon. The whole map is drawn procedurally, so anything that you can access via XML, properties and/or Nasal could also be used to render such maps. Besides, this may be of interest to people working on the jetway module, so you may want to reach out to them, maybe even to join efforts ? PS: Is the script prepared to handle animating/updating traffic at multiple airports concurrently, or can it only do one currently ? Thanks Hooray. These are valuable hints. I will start checking the addon framework and the Canvas GUI. And to answer your question: the script is limited to work on the current airport only, that is the airport, your aircraft currently is located (within a range of 3nm). And I don't have plans for extending it to multiple airports concurrently. My further extensions are focused to improve services, especially catering and fuel vehicles approaching AI aircrafts. Regarding the addon framework, you could look at the FGAddon repository and the examples there - Torsten helped port the Spoken ATC module to become an addon. You could probably borrow code from $FG_ROOT/Nasal/canvas/map/taxiways.draw, which is based on code originally created by Stuart. I started an approach for displaying vehicles on a canvas map now, but I'm facing a "missing link" problem. Maybe you can give me some advice. 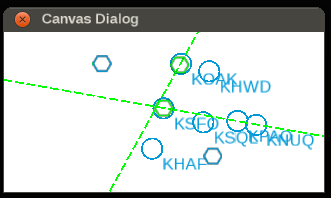 I extracted the map element from gui/dialogs/airports.xml for only having a canvas with some layers (to https://github.com/thomass171/GroundSer ... cesmap.xml), which was quite straightforward. The map is displayed with some layers which can be toggled. Fine. Also seems quite straightforward. But how do I get a reference to the camvas map group (grp_apt in the example) for adding a group and an element programmatically? It seems to be local to Nasal/canvas/generic-canvas-map.xml. Is there some function for getting the group, or a callback? Or is my approach completely wrong? Or is it necessary to create a dedicated layer for vehicles for using the canvas map in this way? the short answer is that your approach is not completely wrong, but it using an outdated "API" - my suggestion would be not to look at airports.xml and the stuff you found there, but to look at the MapStructure instead - that should make things much easier. If you'd like to pursue with the other option, I could also provide the corresponding answers, but I'd basically suggest to leave it alone, it's using code that I once wrote to help generalize Gijs' ND code and its layers to come up with a MVC framework, and it's basically become obsolete due to Philosopher's re-implementation, called MapStructure. Besides, the MapStructure framework is well documented (see the wiki), and it is also much more future-proof. Both approaches assume familiarity with OOP and MVC concepts - so if you'd rather use "just" the Canvas APIs, you could also just use the Canvas Map element and position some symbols and Canvas path segments properly - that will not be as generic/flexible, but easier to do than using the airports.xml approach. Anyway, kudos for looking at that code and understanding how it all hangs together, it's not exactly "straightforward"
OK, thank you for your advice. I'll check $FG_ROOT/gui/dialogs/map-canvas.xml and try to incorporate it.